Tiddles the cat, described in court as a ‘notorious mouse molester’ was found guilty yesterday of harassment likely to lead to the grievous bodily harm of a fellow animal. The trial was conducted without the appearance of the unamed victim, who is believed to be holed up, having gone into hiding, but legal representatives entered a guilty plea on behalf of Tiddles, 6, due to the overwhelming evidence against the feline felon. The court heard that self styled ‘alley cat’, who remained silent throughout the trial, except for mealtimes, was a habitual vermin victimiser who had a string of convictions for back garden transgressions. His lawyers asked for 1,263 other offences to be taken into account. 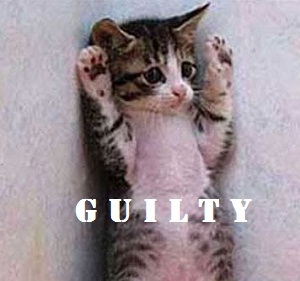 Tiddles was sentenced to Aldi own brand cat food for a week, a 14 day lock-in, and warned as to his future conduct.